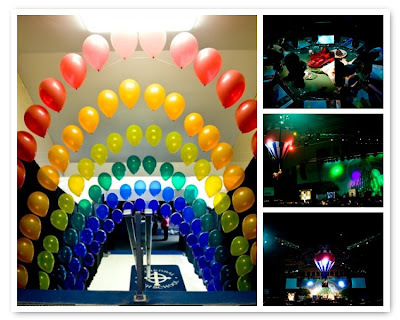 This party was inspired by the classic beach ball, the vibrant colors red, green, blue and yellow. 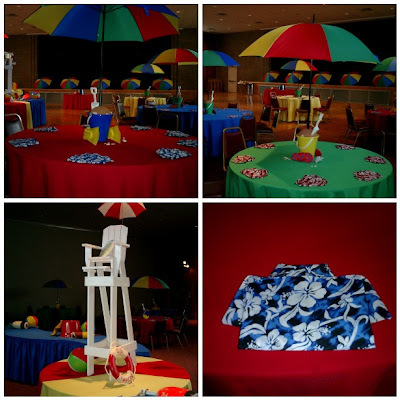 We used those colors in the umbrella and beach pail centerpieces. We hand folded each napkin to look like a Hawaiian shirt. The buffet was dressed with a lifeguard chair, beach balls and buoys. This entry was posted in Beach Ball Bash, Beach Theme Party, Beach Umbrella Centerpieces on April 21, 2009 by Setting the Mood. Finally, guests flutter through a rainbow arch and enter the Emerald City. 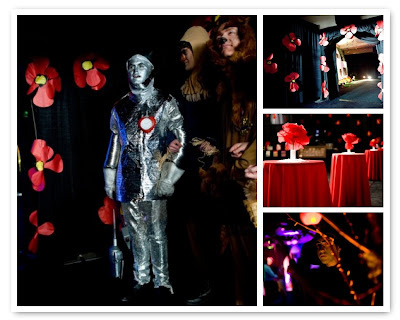 Ruby slipper centerpieces, emerald lights, emerald city backdrop and helium balloon grand center made guests feel like the were right in the center of the movie. 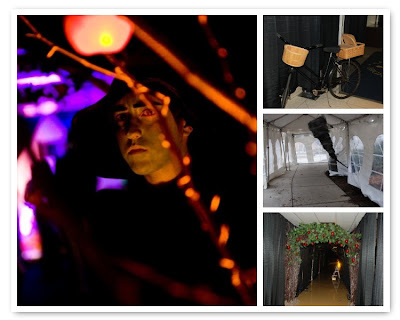 This entry was posted in Oz Party, Wizard of Oz Party on April 14, 2009 by Setting the Mood. As guests entered the poppy field (silent auction room) everyone suddenly became very sleepy….with the help of a snow machine. The Wicked Witch is Dead!! Enter…”munchkin land”. Students dressed as munchkins and danced around Dorothy’s house with giant lollipops celebrating Dorothy’s acquisition of the beautiful and coveted ruby slippers. 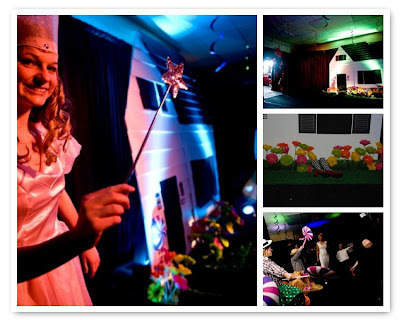 Glenda the good witch magically transported guests to the poppy field. After guest survived the tornado they had to make it through the spooky forest. 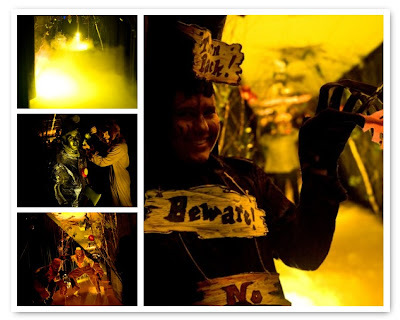 Complete with the talking tree throwing apples, smoke and fog, flying monkeys and the wicked witch. Simply Sara was just that…simply everything Sara loves: fashion, friends, fun colors and family. Centerpieces were handpainted dress forms the table numbers were make up mirrors and the placecards were spools with mini dress pattern placecards. We also hung bright pink and green circles with Sara’s favorite sayings. 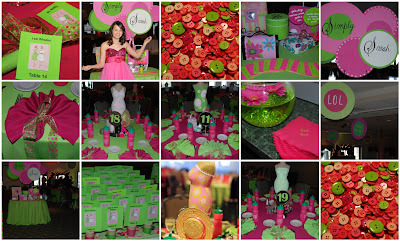 This entry was posted in Fashion Bat Mitzvah, Fashion party, Pink and Green Party on April 4, 2009 by Setting the Mood.